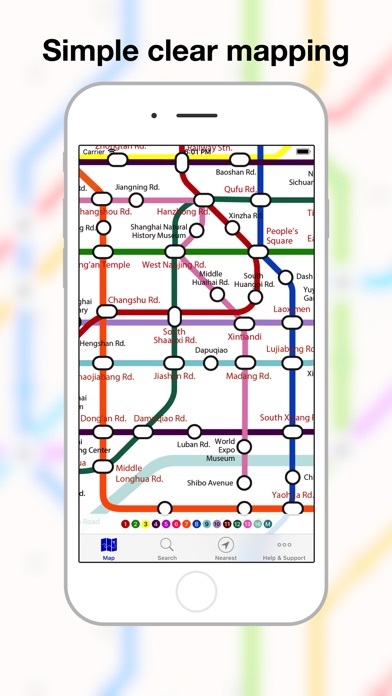 Recommended by CNN and Lonely Planet, this is Shanghai's best subway map! 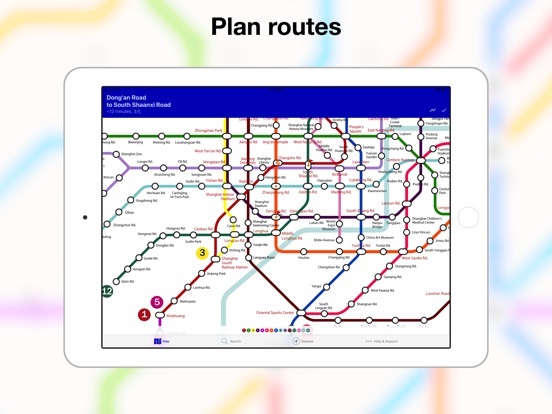 Up-to-date with all the metro lines for 2019; Works offline; Routeplanner, GPS, Street maps; English and Chinese included. 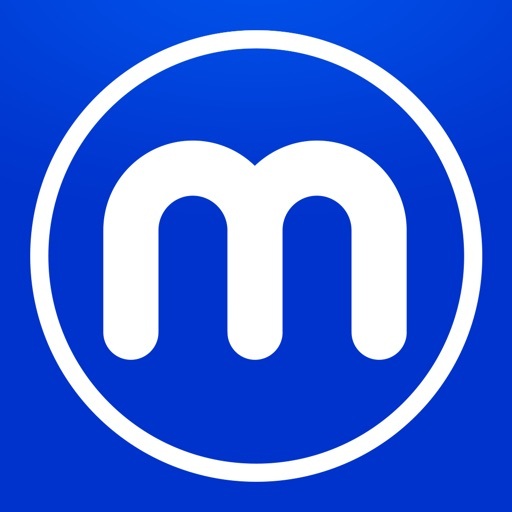 Download the app completely free! The free app is ad-supported. Upgrade to VIP features if you'd like to get extra features, remove ads and support future development! 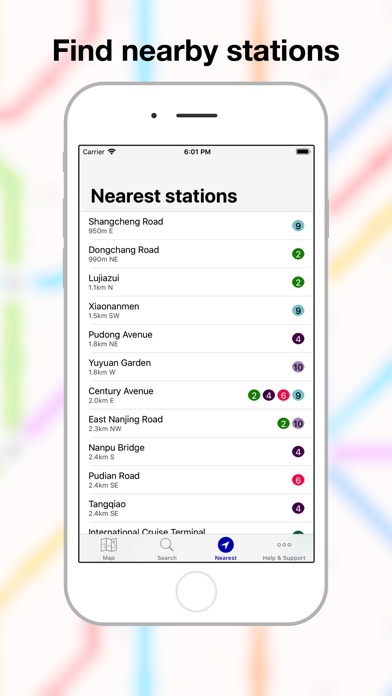 Our gorgeous maps have been fully redesigned for the iPhone X. Runs on all iOS9-12 devices. Specially redesigned interface for the larger iPad screen with split screen. 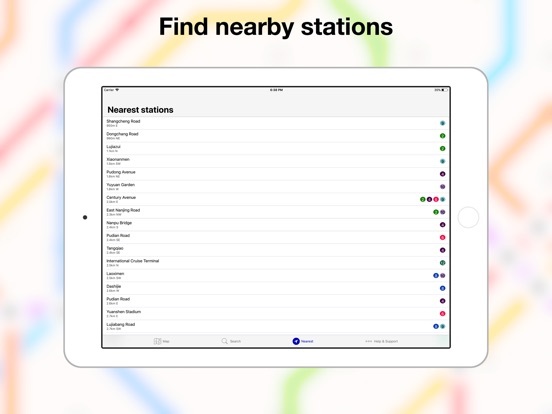 Drag and drop station names, tips, maps and timetables into other apps. A really easy route-planner. 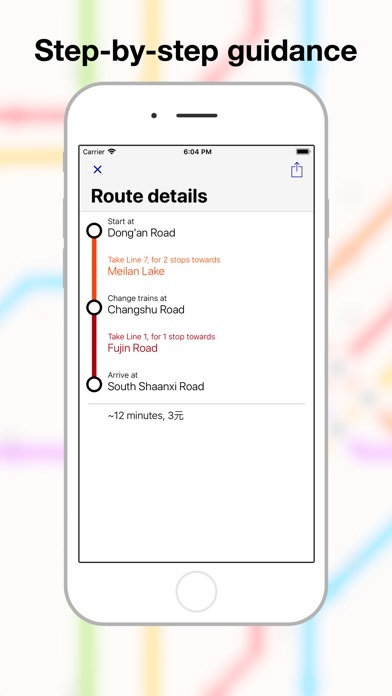 Get route and time information for any journey with just three taps. 6. 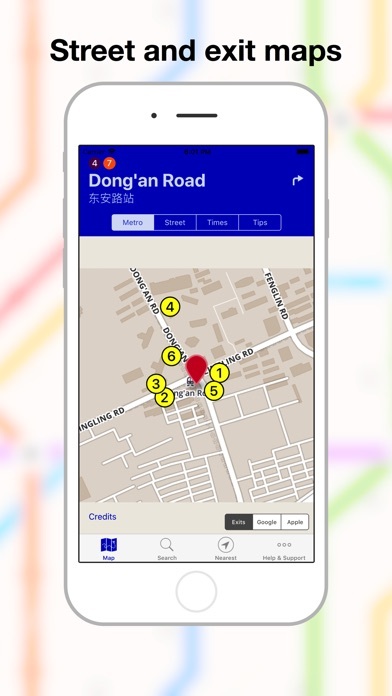 "Find my nearest station"
I've been developing this app for 10 years. Upgrading to VIP helps support future development of the app. 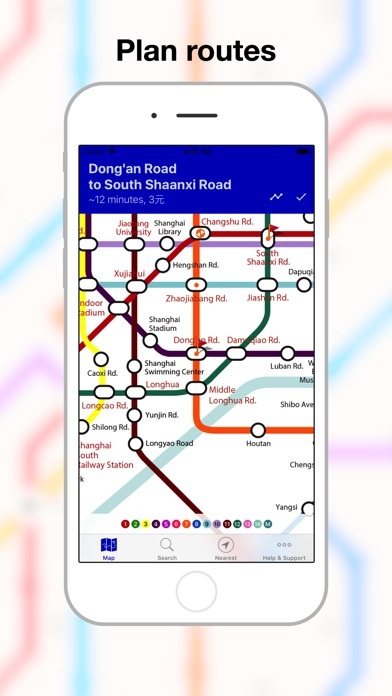 VIP users get additional features, like NO ADS, accurate prices for every journey, first/last train times, offline street maps, tips at every station, and a general warm fuzzy feeling. 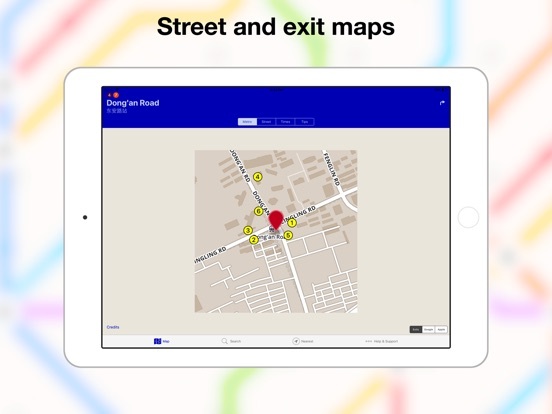 CNN Travel: "These maps are very easy on the eye and simple to navigate. They work offline and also include free updates of stations that have yet to be completed, operating hours and schedules." Lonely Planet: "Easy to use, up to date and work offline. 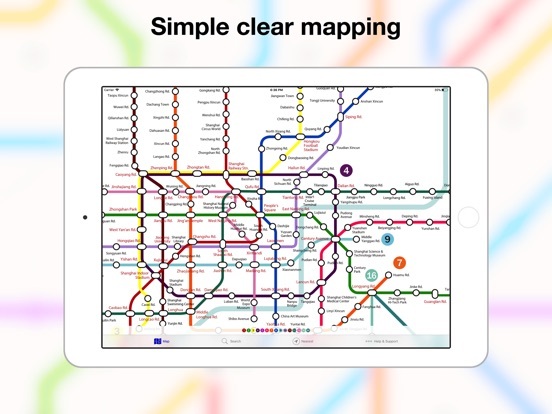 Very handy, especially when they've run out of paper maps at the stations." 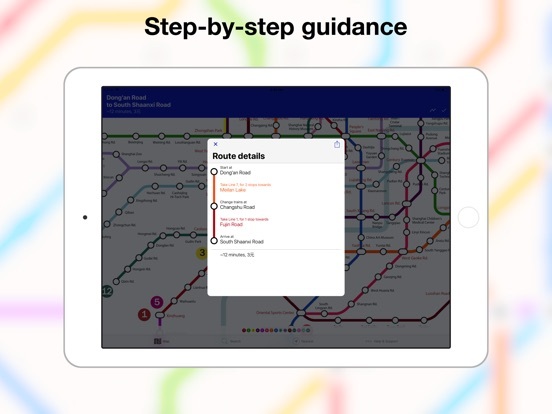 We'd love to hear your comments and suggestions on ways to improve the app. Please contact us via support@exploremetro.com, as we can't respond to comments left in the reviews.